Antoinette is a Carlton personal trainer. After many years in the corporate world, Antoinette knew it wasn't where she wanted to be. She quit her job and began her studies in Fitness and Nutrition - something she has always been passionate about. Completing her qualifications at Victoria University, she also studied Nutrition at the Melbourne College of natural Medicine. Antoinette is passionate about healthy living, eating and exercise so helping many reach their goals is very rewarding for her. She believes personal training should be fun, challenging and included in everyone's daily routine. It should be something "you just want to do"...not just a short term phase! Training sessions are tailored to you. A full health assessment is conducted and your goals are determined and set. All injuries are taken into account as your safety comes first. Workouts will consist of strength and cardio training. Whether your needs are weight-loss or general health and well-being, training sessions are always safe, challenging and full of fun. You want to include exercise as part of your daily lifestyle. You are struggling with your weight and need support, guidance and a lot of motivation. You want a trainer that understands from a busy female perspective. Rachael is a Carlton personal trainer. Rachael developed her passion for sports in her early years enjoying hockey, soccer, t-ball, rounders and a variety of sporting activities. As with many people going through their teenage years, Rachael fell out of the sporting environment and started to gain a bit of weight which she struggled with for several years. Realising she need to make changes, Rachael joined Fernwood and started an exercise regime to reverse several years of inactivity. Getting involved with a personal trainer helped her immensely. She was able to learn more about exercise and fitness while achieving results in her own body and health. Rachael now enjoys health and fitness as a daily part of her lifestyle. She loves to walk her dog, weight train, jog and participate in regular classes such as yoga and Pilates. 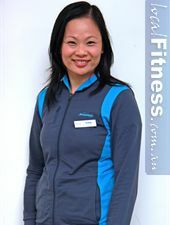 Her newly found passion helped her to complete her personal training qualifications from NMIT and Fitnation in 2009. Rachael now enjoys every minute of working in the fitness industry and she would love to show every woman out there that they can change their life. After being a Fernwood member, I know what women are looking for. If you are looking for a fun and great workout, I am the trainer for you. If you are looking to start jogging/running I can help you with your goals. If you need some help with rehabilitation of any injury from your hip to lower back, neck or shoulders, just come visit me and I will help you in any way I can. My training style is fun but at the same time challenging which will help you reach your goals sooner. You need someone to help make you look and feel great through fitness. You love to work hard and challenge yourself to achieve goals. Alastair is a Brunswick personal trainer. I have been a personal trainer for 10 years and in that time i have seen the industry explode and now implode. The status of personal trainer has never been more easy to obtain. The reality is that these days many of the people who gain there qualification have NO EXPERIENCE in training themselves, so I question exactly how much they can enhance the training of their clients. I have a background in bodybuilding, and my basic training principles revolve around strength training, high intensity cross training and athletics. I believe a strong body is not only an aesthetically pleasing body, but it is also highly functional - a term that is widely misused in this modern era of personal training. I have worked as a personal trainer for Fitness First, and other health clubs, yet I am proud to base myself at Doherty's 24:7 Gym, a gym famous for serious people and serious training. I look forward to seeing you down here soon. Be sure to ask for 'Little Al', i'll be here, it is, my home. I train myself, and over 10 years I have gained enough experience to know what works and what doesn't. I spend many hours reading ever week to further my knowledge, and keep abreast of the latest information I can pass on to my clients. Are looking to compete, or want to take your physique to the highest level. Are no longer getting results with your current personal trainer. Don't want to waste time on fads, but use the most advanced, tested and proven training principles. Jim is a Brunswick personal trainer. I began swimming as a preschooler, learning how to swim and completing many accreditation certificates until my early teenage years. At 16 I started training in Kung Fu and Karate. 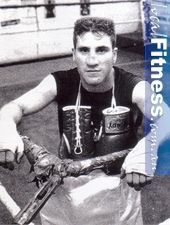 At 18 I started boxing: Victorian amateur boxing champion 1991, 1992, 1993. Australian championships, 1992 silver medallist. Represented Australia, Oceania Boxing championships, Western Samoa, Silver medallist Kings Cup, Thailand. I combine 'old school' boxing with modern fitness techniques. I offer a professional one on one service and endeavour to teach my clients to reach their maximum potential. Wish to accomplish your goals. Dave is a Brunswick personal trainer. My name is Dave Caruana. I've been in the fitness industry for the past 11 years. 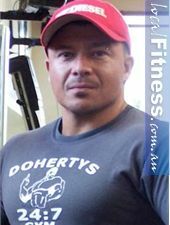 I've been a staff member of Dohertys 24/7 Gym the whole time as a trainer and manager, working with some of Australia's finest athletes and alongside Tony Doherty, owner of Dohertys 24/7 Gym. I lift weights! I specialize in a variety of modern and traditional techniques. From working in the industry for the past 10 years I have leant to adapt and improvise my training programs so that each client has something tailored specifically for them. Unique programs for unique people. Pj is a Brunswick personal trainer. I am a qualified personal trainer with 15 years experience in training and I am passionate about getting my clients into shape. I am also a qualified nutritionist and design eating plans to suit individual clients. Circuit training, mixture of cardio and weights, high intensity. ISSA - International Sports Science Association registered personal trainer. You are determined to look your best. You need help with nutrition. You are serious about weight loss. Loretta is a Brunswick personal trainer. I have been committed to a healthy and active lifestyle since the age of 7 when I began a dancing career that spanned 14 years. During that time I also participated in competitive equestrian events, and other casual sports such as tennis and athletics. I then became a regular aerobics participant, and subsequently became a qualified group exercise instructor. In 2003 I began weight training and conditioning my body, and it was then that I really noticed big changes in my strength, body, and mind. That led to me becoming a Figure (body sculpting) competitor at a national level. I have a business degree and spent many years working in corporate finance roles. I have life coaching skills, and I am working toward a Sports Psychology qualification at Monash University. My training sessions take a ‘tough love’ approach because I believe everybody is more capable than they think. My own training experience proves to me that results happen when you take your body where it has never been before. Anything that I ask of my clients I have personally experienced and seen the results. As my client, I will push you outside your comfort zone. I will give you the resources, encouragement and support to find your own strength and motivation to become a leaner, stronger, healthier you. I give you 100% commitment and ask for your full commitment in return. We will form an alliance, and together we will work toward your goal. You are a male who wants muscular development, increased strength or weight loss. You are just starting out, and need online or face to face coaching in exercise, nutrition and a healthy lifestyle. 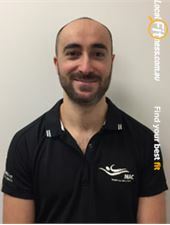 Daniel is a Maribyrnong personal trainer. Daniel’s experience as a Triathlete and Cyclist comes across in his knowledge and implementation of periodised endurance, cardiovascular fitness, and strength & conditioning programs. Daniel has the ability to provide customised sessions to suit: beginners to elite athletes. Daniel's athletic background of triathlon and cycling racing means that he knows what it takes to achieve amazing results. Daniel will guide you through the process and support you along the way. 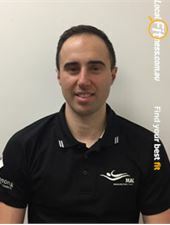 Your sessions will be tailored to your goals as Daniel has worked with a wide variety of clientele over his 10 years as a PT. 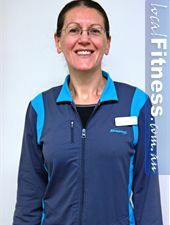 Julia is a Maribyrnong personal trainer. 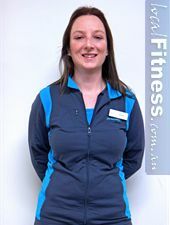 Julia has been a personal trainer since 2010 working all fitness levels. She has worked with teenagers through to seniors and special population groups. Julia's sessions are designed to be enjoyable while still challenging you to achieve the most out of yourself. 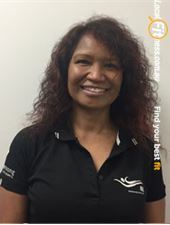 Janece is a Maribyrnong personal trainer. Janece has had over 30 year’s experience within the fitness industry. She has competed in both marathons and triathlons across Australia. Janece has knowledge in rehabilitation and enjoys promoting a healthy and active lifestyle for all members. 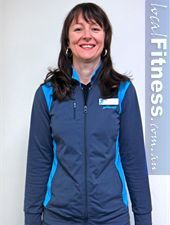 Janece promotes senior strength, exercise for people with special needs and is also a cycle instructor at MAC. 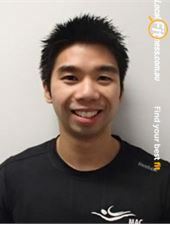 Given Tam's Pilates, Spinning and Kickboxing training, he is able to create a session designed to work you hard but in a safe and controlled manner. Currently completing a Doctorate in Physiotherapy, Tam has the knowledge and tools to ensure you can work through a rehabilitaiton program thoroughly and ensure a speedy recovery. Specialising in strength and conditioning training within the gym, or using our outdoor areas for boxing/kickboxing you have the best of both worlds in terms of strength and cardio training with Tam. Louie is a Maribyrnong personal trainer. Louie's passion is to provide professional advice, quality customer service and support to ensure you achieve and maintain your goals. Louie has a football and cricket background, having played both at club and representative level for over 10 years. Coming from a vast sporting background and having experienced the rehabilitation process through several injuries, Louie understands the importance of training safely with correct technique. Under Louie's guidance you will be closely monitored and supported. Louie is able to strike the balance between working your body to it's limits to ensure you achieve your health and fitness goals in a safe manner. 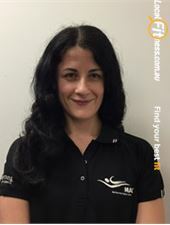 Margarita is a Maribyrnong personal trainer. With over 20 years experience in the health and fitness industry, Margarita is a well rounded trainer that can work with all ages and fitness levels. 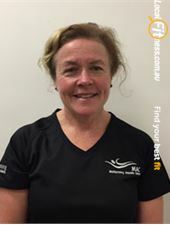 Specialising in strength & conditioning, core stability, rehabilitation programs, and weight loss she will work you to a level to achieve maximum results in a safe manner.